Looking really good with spacers. I forgot to say about VCDS and the ECU software...... you need to go into the Engine section, then go into 'Advanced ID'. A standard car will have 0 next to 'Attempted' and 'Successful' flash counts. It's how VW were detecting remaps because you can't reset that counter back to zero again. Thanks mate, does make such a difference. Yeah man, loving the fact you can pick up so much for these second hand, helps keep the costs down. Thanks for the tip, I'll get my mate to plug it in & see. Get yourself an edition 30 front splitter. Will complete that front end nicely. Looks like you've got a standard gti one. Replicas can be bought for about £80-100, or watch out for Geniune ones on eBay , usually £100-£150. Sweet ride you got there. I've looked at comparison shots, looks ok? 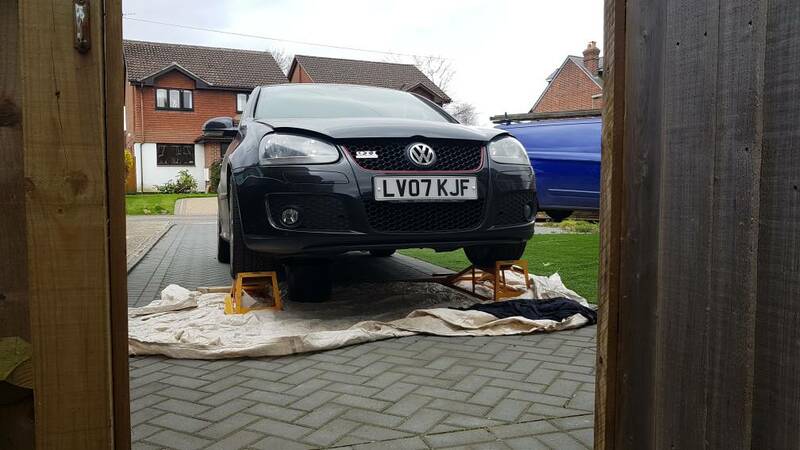 Yep that's a standard GTI splitter. The Edition 30 one should be colour coded and is slightly deeper. 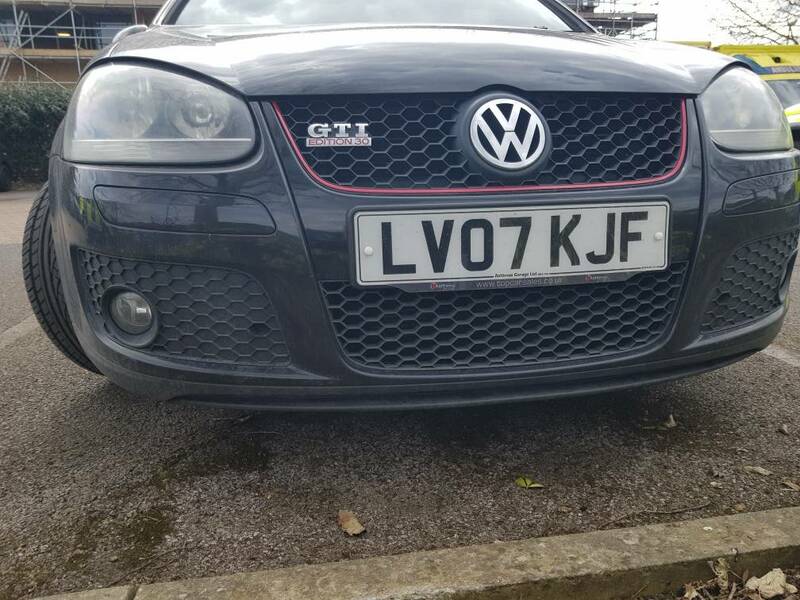 It's probably been whacked at some point and replaced with a more common second hand GTI one. So is it just the splitter that can be replaced? Or does the whole bumper need doing? Just the splitter can be bought and replaced, you’ll have to get it painted. 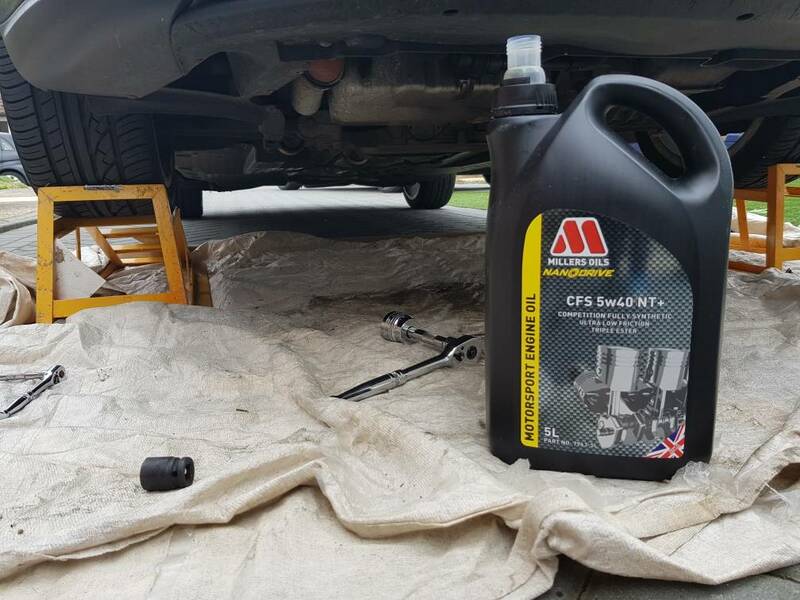 Oil & oil filter change today. Had a look whilst I was under the car, splitter looks like it'll split from the bumper so just have to get the proper Edition 30 one sorted. 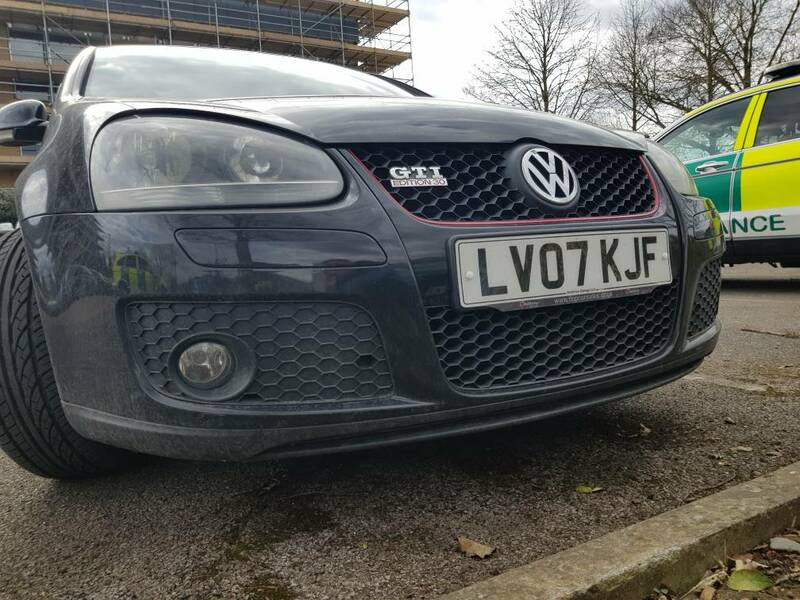 Seen on ebay around £100, after market but don't fancy paying £350 for genuine from Awesome Gti! Today some scumbag has nicked my front badge. NO can't have anything nice these days!! Nice car you got there, I've got same intake the sound is awesome! Spacers in the back make such a big difference! How do you find the exhaust so far? Aresholes! The grille needs a nice few coats of satin black paint! Where did you get the VW emblems for the keys from? Mine's faded badly as well.